Lock in a great price for Hôtel de France – rated 8.2 by recent guests! 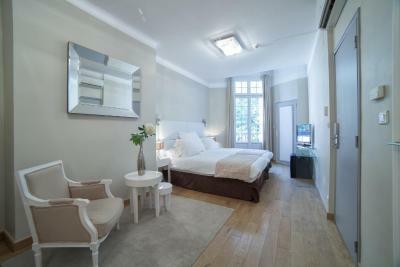 The location is superb, right in the old town. 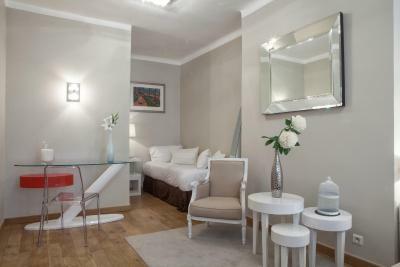 We took the upgraded room which was large and excellent in any aspect. We did not try the breakfast as it is over-priced. We liked everything about this hotel. 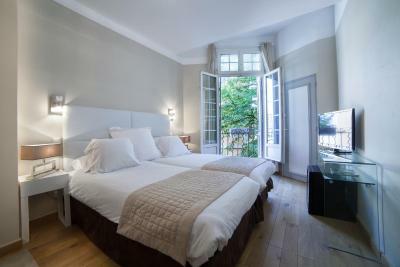 Location was amazing, staff was helpful and friendly, our room was gorgeous. It was just a wonderful experience. Great location! Next to a fantastic bakery, Paul! Location is superb unless you do not like being where people stroll and enjoy themselves. 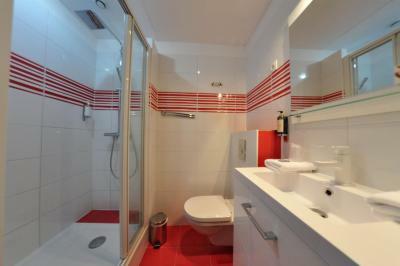 Staff, cleanliness, shower, plumbing, TV, view of Aix from upper floors, all excellent. Location is perfect & staff is friendly & helpful. Excellent breakfast buffet! 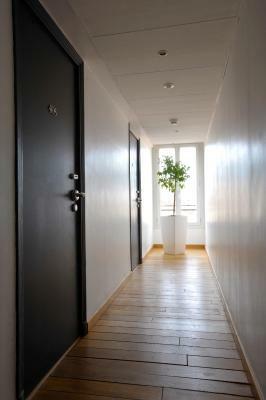 Good rooms but not very soundproof. Staff very warm & helpful, and the locals friendly and knowledgeable. Staff suggested a superb restaurant for dinner that first night, Pointe-Noire, highly recommend it to others! We arrived by chance in the midst of a Christmas festival, so finding parking was tricky-- but a local directed us to a best possible, safe (& free!) location adjacent to La Rotonde restaurant, just around the corner. Great Christmas festival, stores open late and many small vendors in temporary stalls. Great fun! 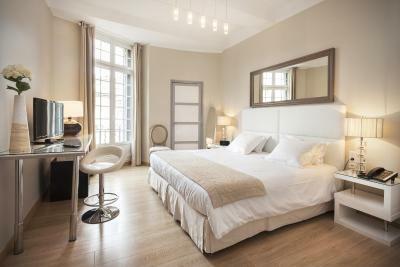 One of our best sellers in Aix-en-Provence! 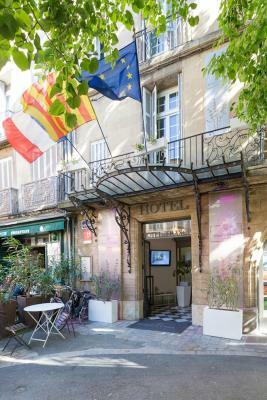 In the heart of Aix-en-Provence, Hôtel de France is in a street parallel to Cours Mirabeau only 150 feet from the famous Fontaine de la Rotonde, and features air-conditioned rooms with free Wi-Fi access. 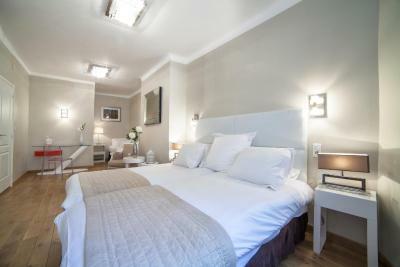 Decorated with white and beige shades, all rooms at Hôtel de France feature a TV with satellite channels, a desk and a minibar. 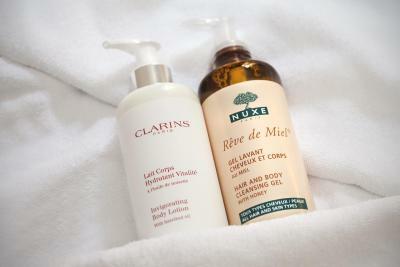 The private bathroom has a bathtub or a shower and Nuxe products. 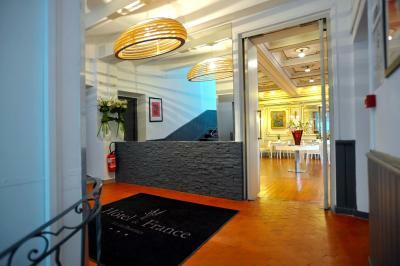 Other facilities available at Hôtel de France include a 24-hour front desk and a shared lounge. 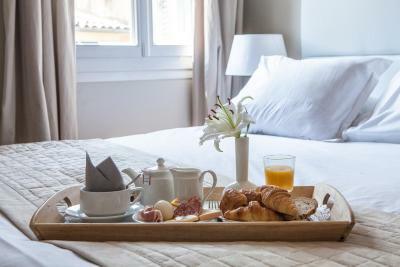 The property's location makes it an excellent base to discover Aix-en-Provence, which train station is just a 10-minute walk from the hotel. 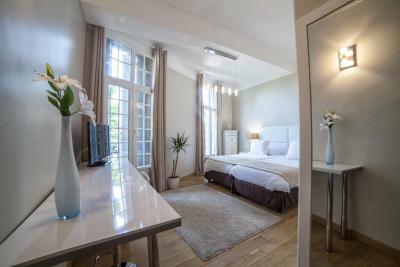 All rooms are air-conditioned and have a minibar and a plasma TV. 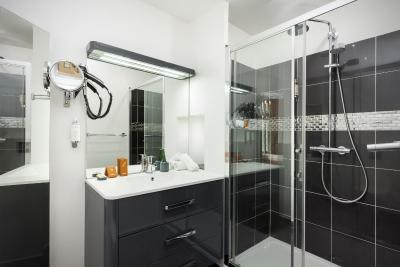 They also include a private bathroom with a walk-in shower. 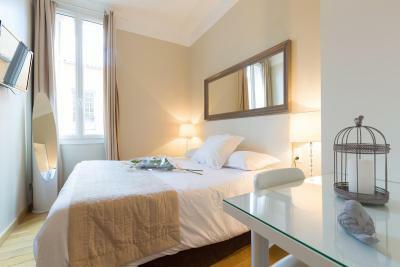 All rooms are air-conditioned and have a TV. 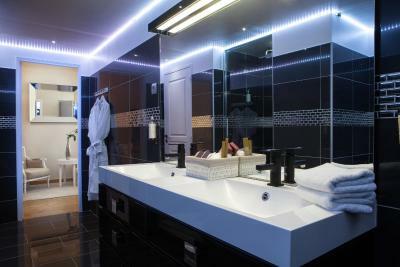 They also include a private bathroom with a bathtub or shower. 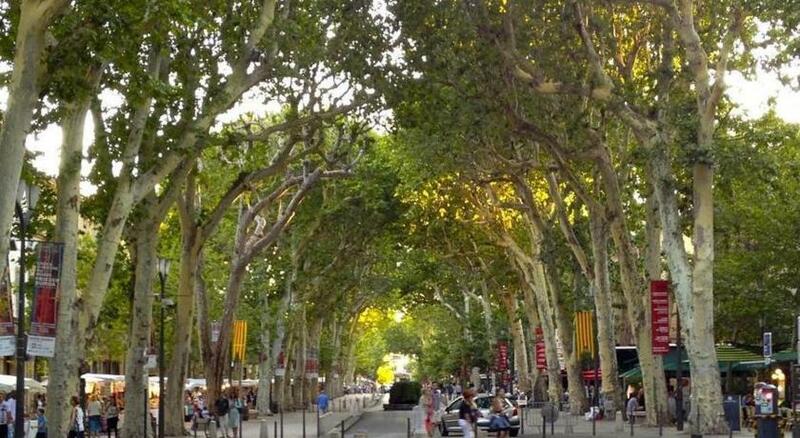 Medieval and Roman ruins blend with narrow alleyways in Aix-en-Provence’s old town. Keep an eye out for fountains, picturesque squares, and an old belfry with an astronomical clock. Please note that bed-type preference must be submitted at least 24 h in advance. 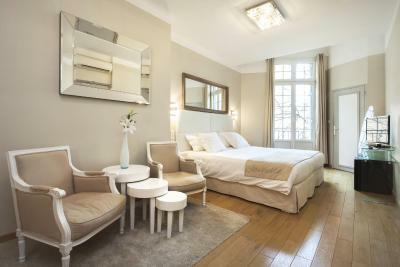 Perfect location ,classic french hotel. Comfortable bed. Room was smaller and a bit less lovely than pictures. As the town is so small, could have stayed a few streets away for less money. 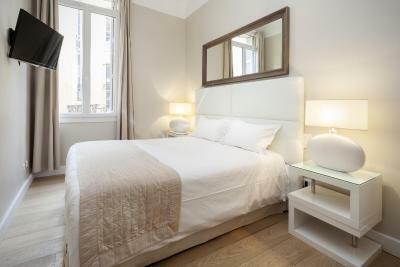 Staff was incredibly helpful, location great. Lighting in the bathroom was too dim. The room was a nice size and the bathroom was very modern. Great location. Friendly staff in a low key way. Breakfast pretty good. I had a room at the back so was v quiet. Perfect location, close to bus transport and right in the middle of the action. Great size room and very clean. Bath was fantastic after s big day walking! Staff were very helpful. Shower stall had a small leak, resulting in the rest of the bathroom floor being wet. Clean comfortable convenient and quiet despite the location. Great location and very quiet despite being next to restaurants and bars. Hotel room is nothing like the one depicted on the website. The room was extra small, even though it was a double. There is hardly space to put down a suitcase. The fridge and safe is stuck underneath the cupboard, which is difficult to reach. I am happy that I only stayed there for one night. Our room window overlooked a courtyard. No view. I liked the location of the hotel. 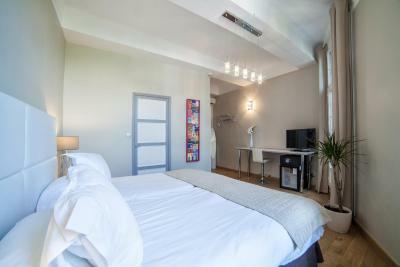 Within walking distance from the bus station from TGV station. 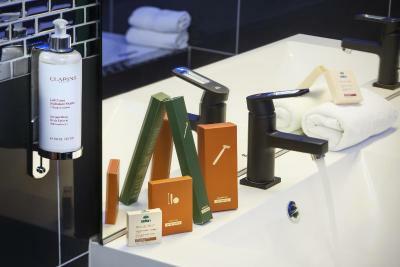 Clean linen, lovely bed and convenient bathroom with enough towels and soap.